[PDF] The Ravenous Brain: How the New Science of Consciousness Explains Our Insatiable Search for Meaning | Free eBooks Download - EBOOKEE! Description: Consciousness is our gateway to experience: it enables us to recognize Van Goghâ€™s starry skies, be enraptured by Beethovenâ€™s Fifth, and stand in awe of a snowcapped mountain. Yet consciousness is subjective, personal, and famously difficult to examine: philosophers have for centuries declared this mental entity so mysterious as to be impenetrable to science. 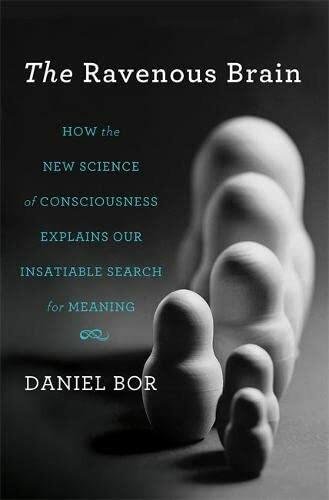 In The Ravenous Brain, neuroscientist Daniel Bor departs sharply from this historical view, and builds on the latest research to propose a new model for how consciousness works. Bor argues that this brain-based faculty evolved as an accelerated knowledge gathering tool. Consciousness is effectively an idea factoryâ€”that choice mental space dedicated to innovation, a key component of which is the discovery of deep structures within the contents of our awareness. This model explains our brainsâ€™ ravenous appetite for informationâ€”and in particular, its constant search for patterns. Why, for instance, after all our physical needs have been met, do we recreationally solve crossword or Sudoku puzzles? Such behavior may appear biologically wasteful, but, according to Bor, this search for structure can yield immense evolutionary benefitsâ€”it led our ancestors to discover fire and farming, pushed modern society to forge ahead in science and technology, and guides each one of us to understand and control the world around us. But the sheer innovative power of human consciousness carries with it the heavy cost of mental fragility. Bor discusses the medical implications of his theory of consciousness, and what it means for the origins and treatment of psychiatric ailments, including attention-deficit disorder, schizophrenia, manic depression, and autism. All mental illnesses, he argues, can be reformulated as disorders of consciousnessâ€”a perspective that opens up new avenues of treatment for alleviating mental suffering. A controversial view of consciousness, The Ravenous Brain links cognition to creativity in an ingenious solution to one of scienceâ€™s biggest mysteries. No comments for "[PDF] The Ravenous Brain: How the New Science of Consciousness Explains Our Insatiable Search for Meaning".